A damp start today, around 15 degrees with heavy rain, but dry for the last 2 hours of the match. Surprisingly it fished very well considering the conditions, the fish fed exceptionally well when it dried up..! A healthy average of 40lbs + per Angler throughout the lake. 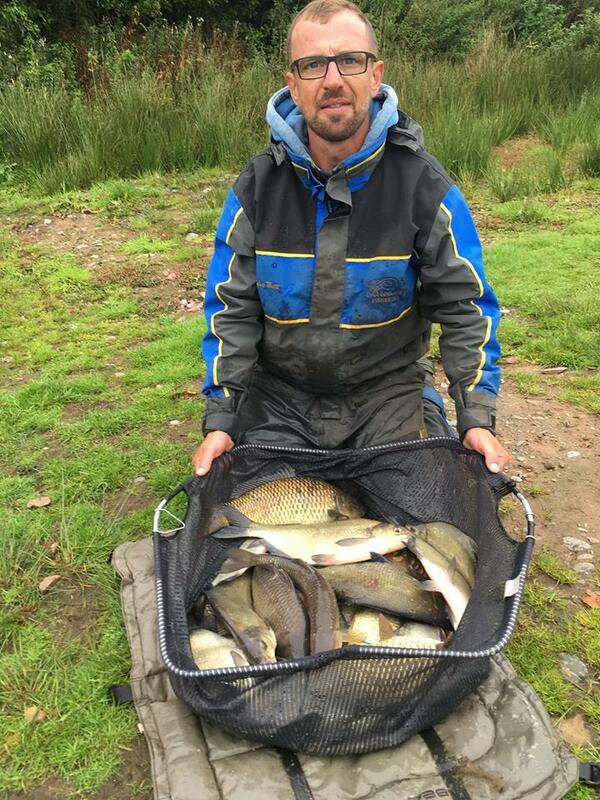 Section 2 was a real close one with Matt Baxter winning with 74lbs 14oz, which included over 50lbs of skimmers caught on the pole/paste. 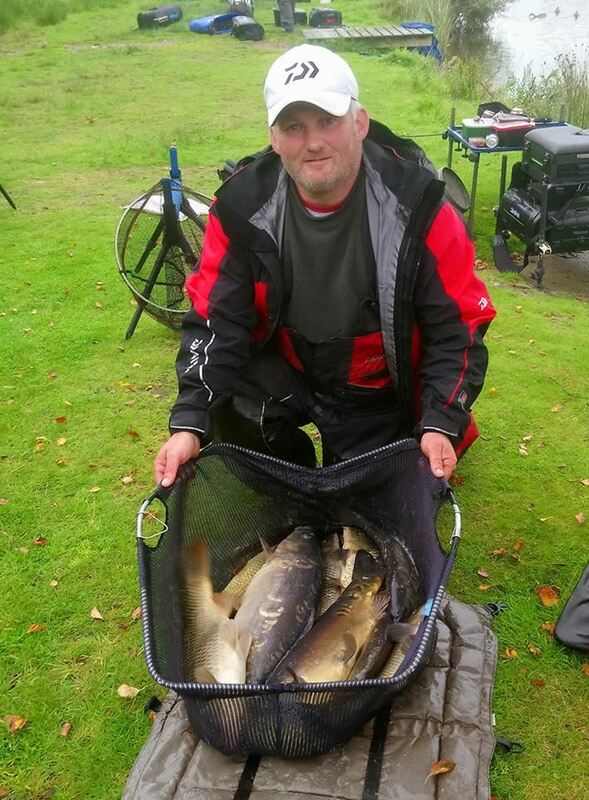 Second in section was Ian on end peg 27 with a great mix of carp, barbel and silvers for 68lbs. 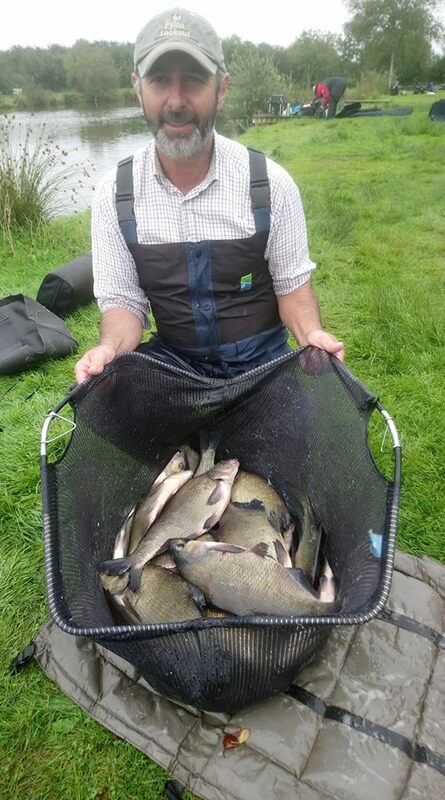 The backup weights of 50lb 8oz, 48lb 4oz and 41lb 8oz were impressive too..! Section 1 at the top end of the lake was another close one too. 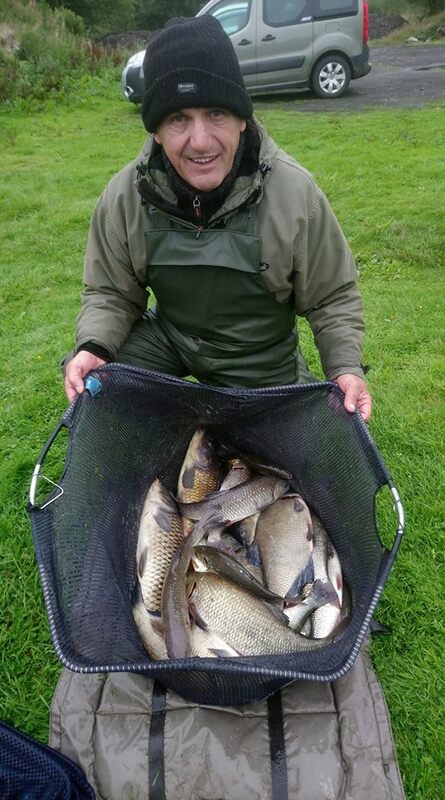 Barry Young won the section with a mix of big ide and carp caught on worm/pole for 63lbs 8oz. 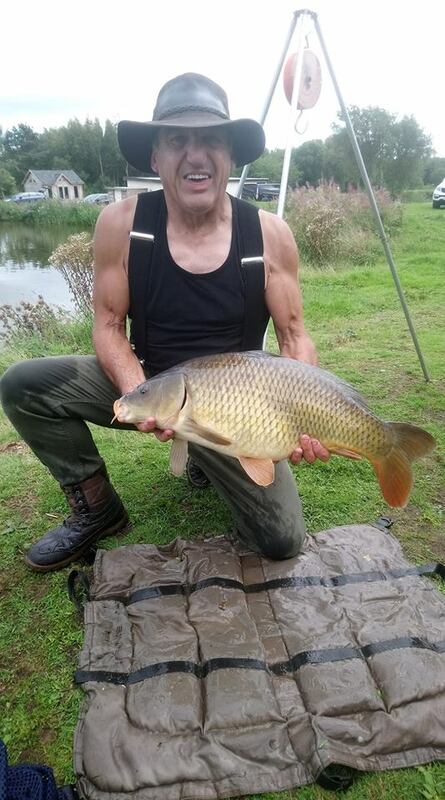 Second place was taken by Mark Acton, who caught carp steadily on the method feeder, weighing in 58lbs 12oz. 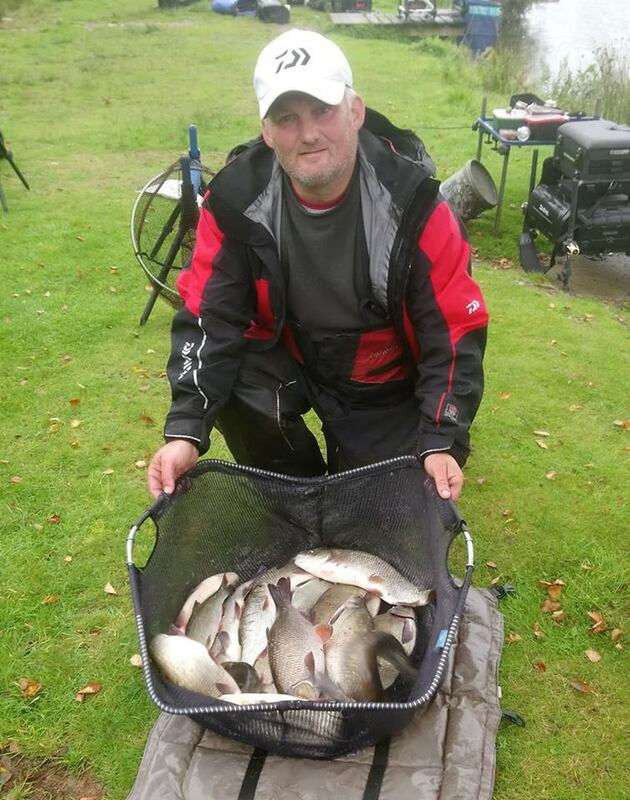 Steve Royle was a close 3rd with 56lbs, mainly Carp caught on feeder and waggler. 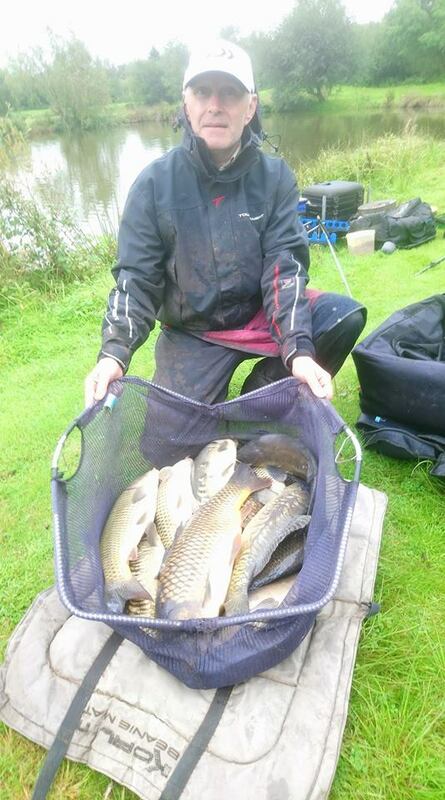 Myles Watt on peg 20 put a respectable 41lbs 8oz on the scales also. 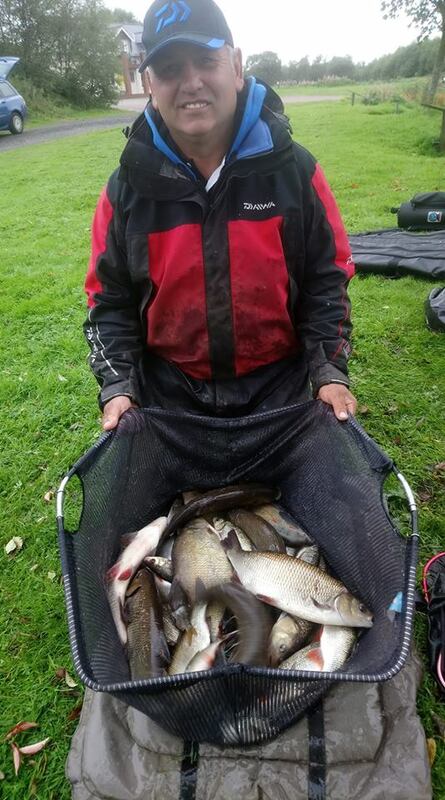 Two very close sections today with great weights throughout… Well fished guys, and more so for sticking it out in the rain ☔..!